Attention: on netting accounts, each synchronization will lead to the positions being automatically closed and reopened. This may cause spread losses to be greater than profit. Therefore, the code includes a warning about working on netting accounts. While copying, the system periodically checks whether positions on the subscriber's account match the provider's ones. If a mismatch is detected (i.e., only some positions have been copied), the system tries to eliminate that and copy the missing ones. Unlike the initial synchronization, the total floating profit of the provider is not checked. If the subscriber started copying, they should follow the provider's trading strategy to the maximum possible extent. It is impossible to copy some positions, while ignoring others. If the system detects positions not based on signals on the subscriber's account, it offers to close them or closes them automatically depending on the "Synchronize positions without confirmations" setting. The Signals Copier for MetaTrader 5 utility is designed for working on the virtual hosting integrated in MetaTrader 5. The copier is launched on a trading account subscribed to the Signals service allowing you to increase the volumes of copied positions. Signals Copier for MetaTrader 5 works both with traditional trading accounts (net accounting) and new types of accounts (hedge accounting). The utility is described in details in the article "How to copy signals using an EA by your rules?" I recommend that you apply it when a signals provider trades the minimum lot. Expert's identifier - EA's magic number. 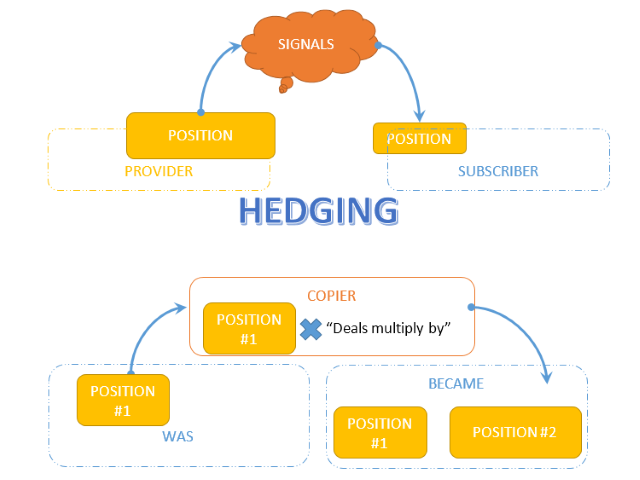 Deals multiply by - multiplier for the positions opened by the Signals service. May 10, 2017. 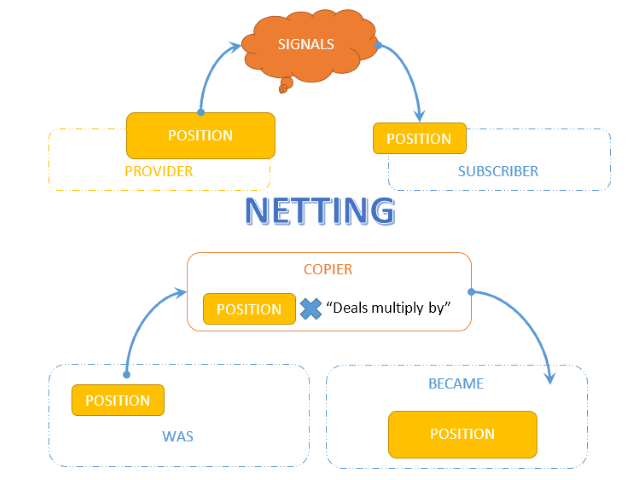 Attention: on netting accounts, frequent synchronization may cause a situation where the spread losses exceed profit. Therefore, by continuing to work on a Netting account, you are aware of and take high risks.